Criticizing Obama for the time he spent golfing was one of President Trump's most repeated attacks of the former commander in chief. "Obama ought to get off the golf course and get out there," said Trump during his campaign. Now that President Trump is in the Oval Office, the avid golfer is finding himself in the sand trap of scrutiny that comes with the job. 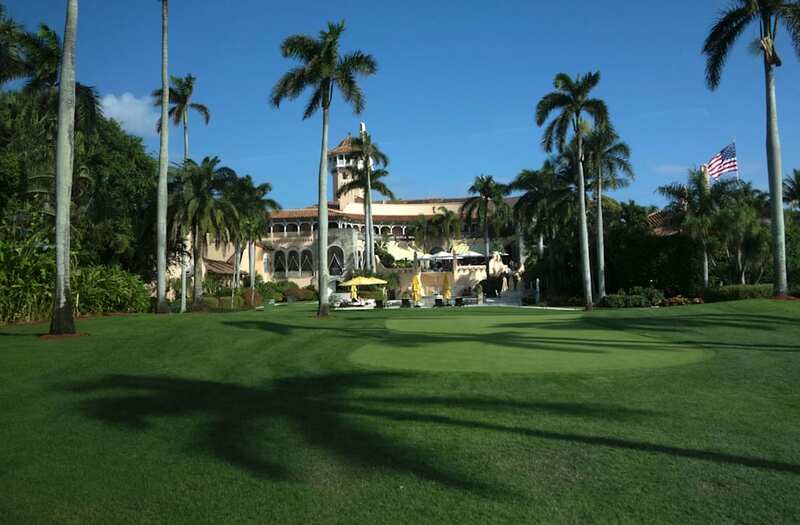 Politico reports Trump's planned weekend trip to his Mar-a-Lago Club could rack up a $3 million dollar bill for American taxpayers. Flying Air Force One alone is said to cost $200,000 an hour. During his three-day getaway, Trump will reunite with his wife Melania, participate in several meetings and phones calls and potentially attend the American Red Cross's fundraising gala. Politico's jaw-dropping evaluation of the cost of the president's first trip was reached by comparing the costs of a similar trip President Obama took back in 2013. However, since the president has to pay for his own personal accommodations, his owning the resort will in theory save taxpayers some money. President Trump can take heart in the fact that conservative icon Ronald Reagan in context spent almost a year at his ranch during his presidency. While Trump frequently railed against Obama via Twitter for his weekend getaways, we can likely expect the 45th POTUS to be making several trips to his "winter White House" in the coming years.